I’ve wanted to make a tiramisu for ages but one thing has put me off: lady fingers. What is it with lady fingers? Why are they even called that? And is it just me, or are the pretty revolting? Just me? Okay, probably. While we’re at it, I am not overly keen on the taste of alcohol (and before my friends grass me up for being a liar, I mean in cakes, not in general). 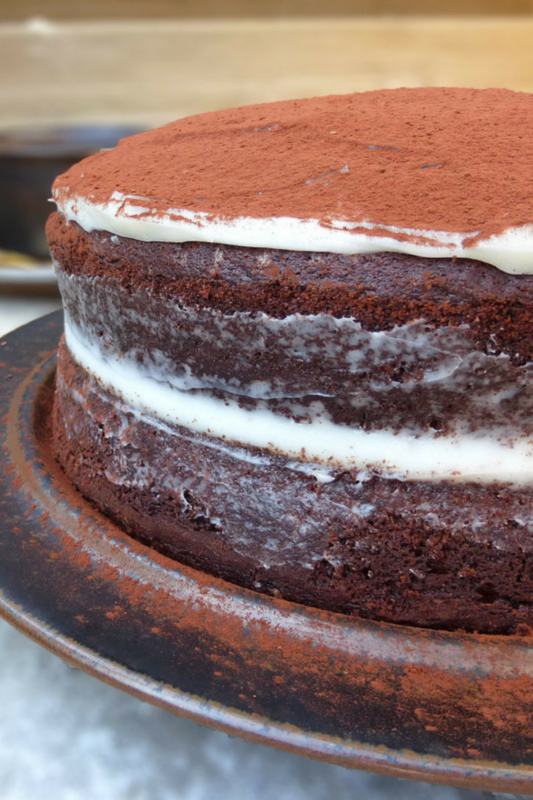 So, given these hurdles, I decided to make my very own almost tiramisu inspired chocolate layer cake. It has the mascarpone, the heavily sprinkled cocoa, and the coffee soaked cake. Not completely authentic, but as close as it gets. Coffee features heavily in the cake. I love coffee. I simply can’t function without my morning shot of caffeine. 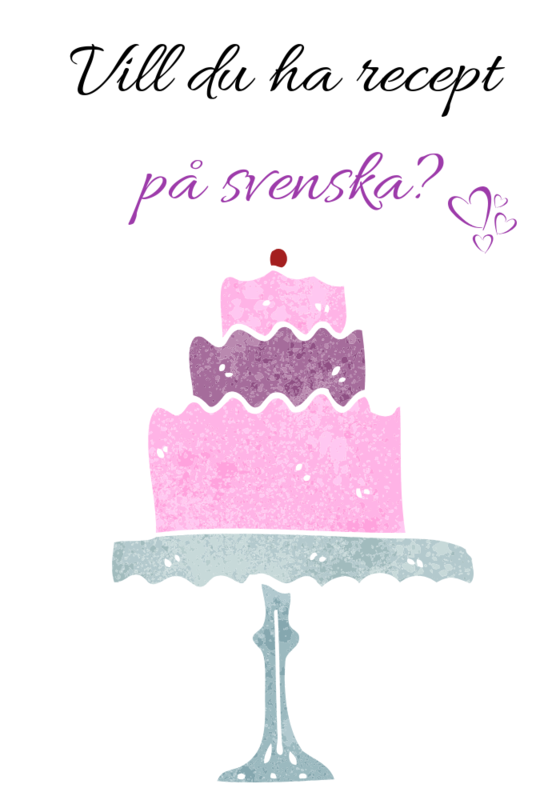 And I love it almost as much (if not more) when it’s in my cakes. So, given my penchant for the brown stuff, you can imagine my screech of euphoric glee when Gourmesso.com asked me if I’d like to try some of their Nespresso replacement coffee capsules. Oh, yes. Regular readers will know how much I use coffee in my chocolate cakes. Every kind of chocolate cake loves coffee. I mean really loves it. Like, let’s get down the aisle as quick as we can kind of love. Coffee does something bordering on magical with the chocolate flavour, intensifying it to the point of sublimity. It’s particularly noticeable in fudgy creations, such as these Mars Bar brownies. However, despite the indisputable evidence (fabulous chocolate cakes don’t lie), many people are simply unwilling to accept the truth. 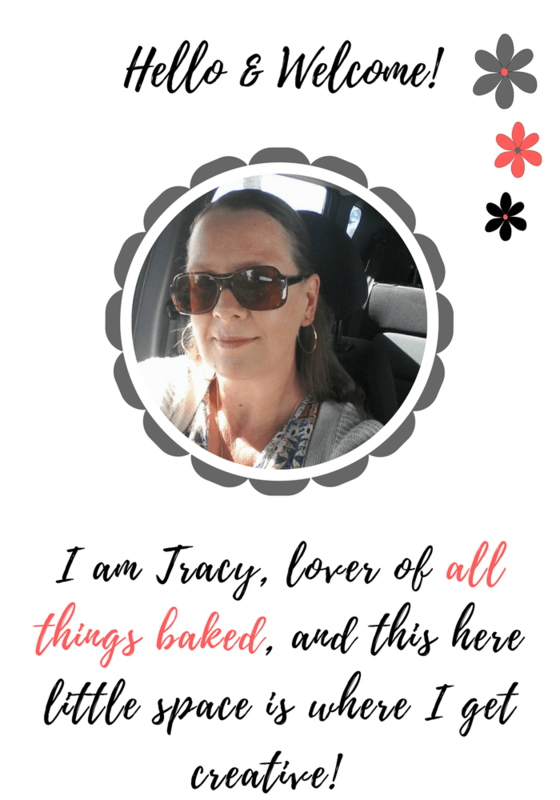 One of my absolute favourite bloggers, and queen of all thing cake, Amanda Rettke, (the driving force behind I am Baker), has regularly discussed the subject. Amanda’s obviously had so much grief about using coffee in chocolate cakes that she’s even just gone to the lengths of making a cake and proclaiming it has no coffee. Guys, we’re not talking about adding custard to your cake; now that would be horrendous. It’s coffee. It’s delicious. You can’t taste it in cakes. Please try it. For me? You’ll never look back, I promise. So, stepping down off my soapbox, where were we? Ah, the recipe. 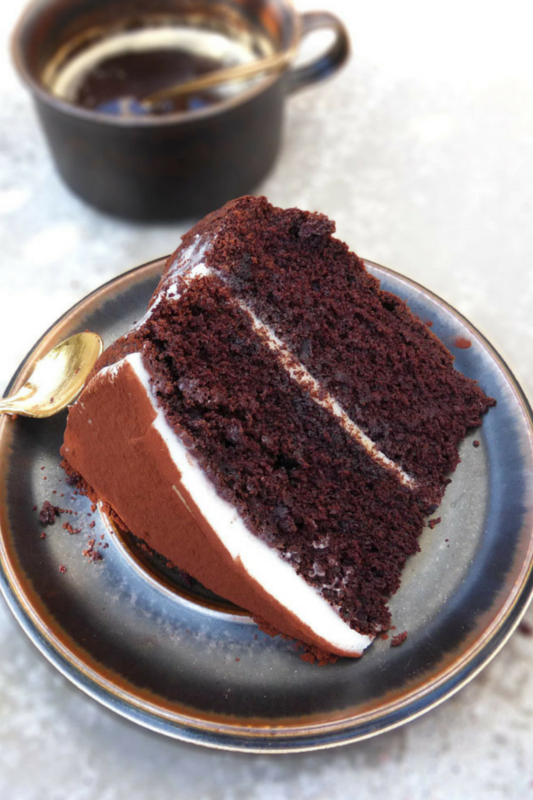 Now, joking aside, if you are really put off by the thought of coffee in your cakes, this beauty is perhaps not for you – it is full of the stuff. 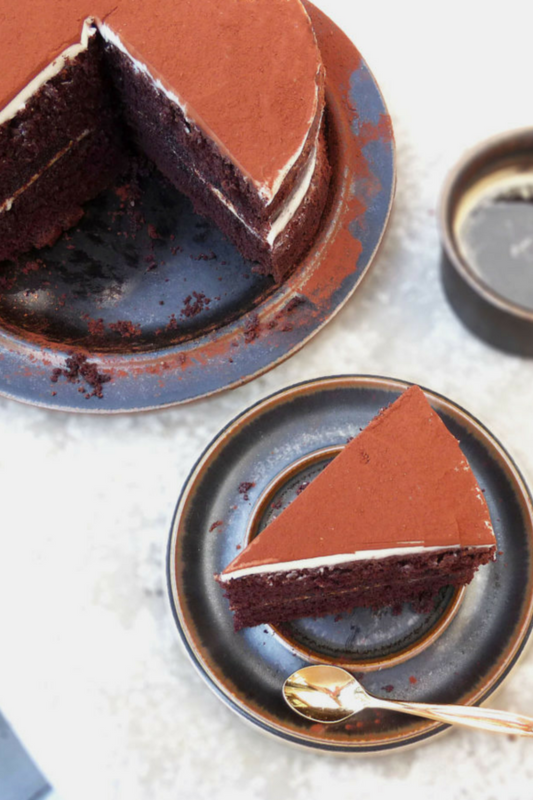 Forgetting about coffee for a second though, there is way more going on with a rich, chocolate sponge and lashings of creamy, sweet mascarpone frosting. I haven’t had mascarpone on its own as a frosting (there’s icing sugar, but no butter or cream cheese), and I loved the light, creamy taste. I left the cake naked (anyone else titter when they see a cake referred to as naked? Or is that just me, again? ), but you could easily make more frosting and cover it all. I actually loved the contrast between the dark sponge and white frosting and taste wise, don’t think it needs a full covering. The cake is made using two 8″ tins and is big enough for 10-12 generous slices. Cover it up and it will stay nice and fresh for a good couple of days. I used one espresso (40ml/1.4oz) and one latte size (110ml/3.7oz) coffee, which came to ¼ cup. ~ Pre-heat the oven to 175°C (350°F) and grease/line two 8 inch cake tins. ~ Melt the dark chocolate and then add the hot brewed coffee. Stir to combine, and set to one side. ~ In a large bowl, or using a food processor (which I did), beat the butter and sugars together until light and fluffy. Add the eggs one at a time. ~ Pour the chocolate/coffee mixture into the butter/sugar and give it a quick burst just until everything is evenly distributed. ~ In a separate bowl, combine the cocoa, flour, baking soda and vanilla sugar. ~ Mix the cream and milk together in another bowl. While the processor is running, slowly add one third of the dry ingredients to the butter/chocolate mixture, and then one third of the milk/cream. Repeat until you've added everything (don't over mix - just continue until everything is combined). ~ Divide the batter fairly evenly between the two pans and bake for around 20-25 minutes. The cakes are ready when the tops are fairly springy and an inserted skewer comes out clean. Remove from the oven and let the cakes sit in the pans for ten minutes or so, before turning out onto a wire rack to cool completely. ~ While the cakes are baking, prepare the coffee syrup: Heat the coffee, sugar and water in a pan, just until the sugar has dissolved and there is a rolling boil. Remove from the heat and allow to cool. ~ For the frosting: Beat the mascarpone together with 100g (1 cup) of icing sugar. Gradually add more icing sugar until you have achieved a thick, spreadable consistency, and it suits your personal sweetness level. ~ To assemble: With both cakes top side down, gently make little holes (I used a knife) all over the surface. Pour the coffee syrup evenly over both cakes. Let the cakes sit for a short while to allow the coffee to soak right in. 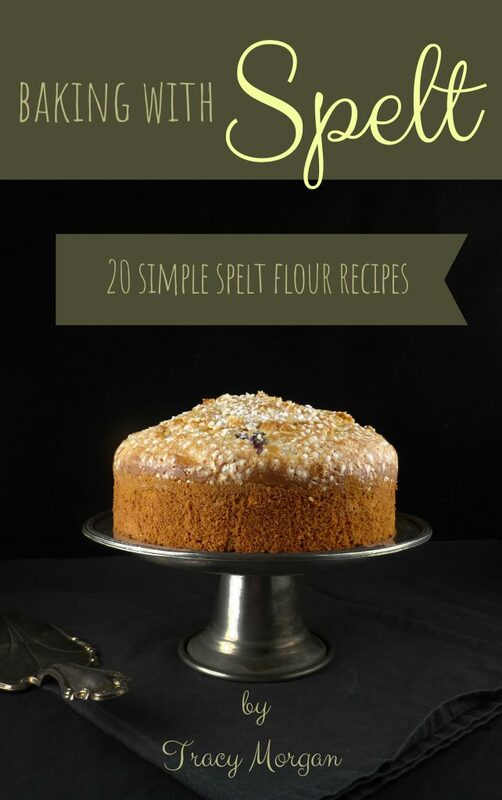 ~ Slather over just under half of the frosting on one cake and then place the other one on top. Push down gently so that a little frosting squeezes out and then if you want to give it the same "naked" look as I have, take a little more frosting and smooth it along the seam where the cakes meet. Spread the remaining frosting on the top cake. 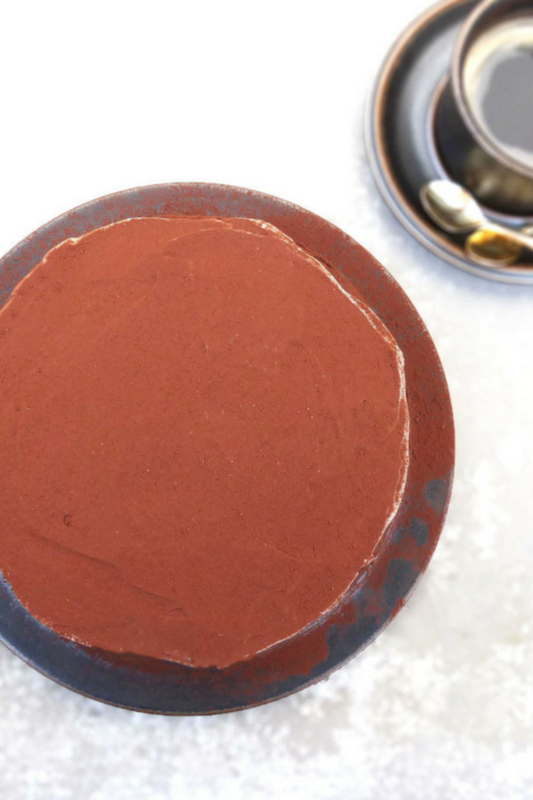 When ready to serve, give it a very generous sprinkling of cocoa that covers the whole surface. Cut into gorgeous slices and enjoy!